Evolve Cosmetic has released Six as yet unreleased facts about its ‘Clear Skin Clinic’s “Natural Skin Therapy” treatments and solutions. Available directly at the Clinic or from the comfort a home environment, fans and consumers within the Cosmetic Clinic space should find this information particularly interesting. Everyone want’s to have natural, younger looking skin without having to put too much effort in to it. Evolve’s very own Christelle shares her top tips which are guaranteed to have a fresh, young and vibrant look. The Six items include nuggets such as : Dermaplaning, Epiblading and Natural Skin Remedies. Dermaplaning/Epiblading – Ever try shaving a skin layer off? This new anti aging treatment is a bit of a hot trend at the moment as It’s a good way to remove peach fuzz and dead surface skin cells, although this is a treatment which preferably is done by a professional, it’s a quick non-invasive treatment with immediate results. Dermaplaning also provides the perfect surface for effective cleansing, moisturising and other skin treatments that enliven the skin. Old, dead skin cells that form a barrier against such treatments are removed and younger, more responsive cells are exposed. Epiblading is one of the best cost effective treatments to help with exfoliation, however there are also some other alternatives listed below. Pineapple – The bromelain contained in pineapples naturally exfoliates skin when used topically. Got any delicious pineapple lying around, why not stick a few chunks in to a blender and then apply it to the skin? A nice, natural cost-effective exfoliation solution! Papaya/Pawpaw – The papain enzyme inside a pawpaw counters free radical skin damage and also chews up all the dead skins cells like bromelain in pineapple does. So, next time mash up some left over pawpaw, and apply it to the skin for a youthful glow. Apple cider vinegar with “the mother” – Acting as an Alpha hydroxyl acid, ACV eliminates dead surface cells, lowers skin’s pH and accelerates cellular growth. Skin can only be healthy when its pH is in a natural acidic state. Healthy skin has a pH of 4.5-5.5. Three times in a week in the morning or evening take a cotton pad, pour some ACV on it and wipe the skin. If the acidity is too strong, wet the cotton pad before applying to the face. ACV is an effective topical treatment for acne. Aloe Vera – is nature’s pharmacy in a plant. Aloe Vera stimulates the growth of new skin cells, and accelerates the healing time of wounds and blemishes. Aloe naturally penetrates deeper into the dermis, providing moisturising and nourishing benefits. Aloe balances and acts as a natural humectant, drawing moisture to the skin’s surface to promoting a radiant glow. 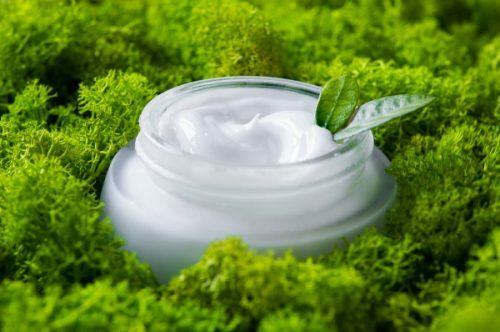 It also protects the skin by supporting the cells’ own immune functions. For a natural treatment, slice an aloe leaf open to expose the inner gel, apply it directly to the surface of the skin. Scrape out the gel, mash it with fingers in the palms and apply directly onto the skin. Coconut Kinetin – Kinetin is a plant hormone found in the liquid portion of the young coconut. Kinetin is known for its anti-ageing benefits, gently reversing lines and wrinkles. Just break the shell and pour some of the liquid straight onto the skin. Pour the liquid in a spray bottle and spray some directly on the skin. It’s a bit sticky so do it in the evening before bedtime and wash it off in the morning. Treatments that dramatically enhance the health and beauty of skin don’t have be expensive or contain strong chemicals. Christelle’s list provides clients with a natural, healthier way to look and feel their very best and have their skin glowing with a vibrancy that everyone will notice. Evolve Cosmetic got it’s start when Founder Christelle Thiart noticed a growing need for people wanting to have natural, younger looking skin without having to put too much effort in to it. Christelle is quoted saying: “We like to do things to connect with our clients and offer them natural alternative treatments to ensure skin health is maintained over time, finding natural tailored skin treatments, making courtesy follow up calls and providing informative blogs“.